France will be “more demanding” of the UK with regard to migrants in Calais camps, French Economy minister said, adding that Brexit created a “political context” for revision of the border deal between Paris and London. Emmanuel Macron, French economy minister was speaking in the town of Saint-Omer in Calais Region on Monday. According to the minister, Brexit created an “obvious political context” for the discussion of Le Touquet treaty. The deal was reached between the UK and France back in 2003 and defined the rules of border control between the two countries. The Treaty of Le Touquet stipulated that France would carry out border checks in Calais to intercept those seeking to make illegal crossings to the UK. The deal, which regulates border controls and police, judicial cooperation in criminal matters, civil protection and migration, came into force in 2005. Brexit “reopens these issues and we have a right to be more demanding to our British partner” in regard to the migrant crisis in Calais, Macron said as quoted by AFP. The minister added that he will bring up the issue with President Francois Hollande as well as to the Prime Minister Manuel Valls and Interior Minister Bernard Cazeneuve. Macron is not the first to call for a revision of the border deal between France and the UK. 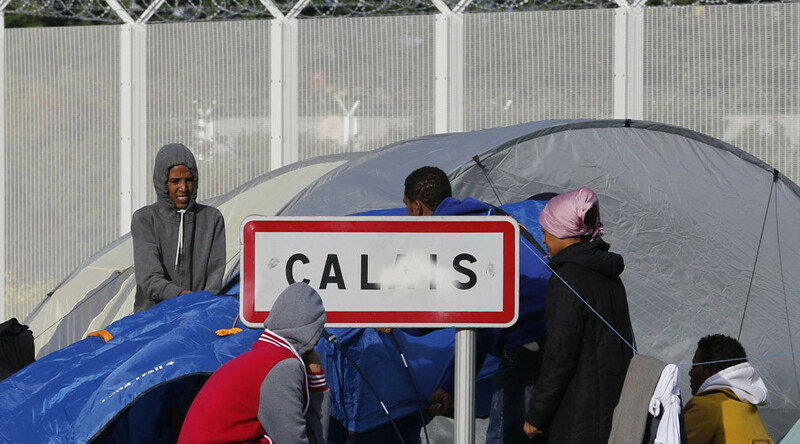 The issue was stressed on Friday by Calais authorities who said that the migrant camps which are numerous in the area should be moved to the UK side. “The British must take the consequences of their choice,” Mayor of Calais Natacha Bouchart said, adding that the deal required negotiation due to Brexit referendum results. The suspension of the agreement would affect the biggest French refugee camp known as the ‘Jungle’. Though French authorities bulldozed the parts of the notorious camp back in February, some 3,500-4,000 refugees still live in the remaining areas of the camp, according to French and UK aid groups (data from May 2016) who are working with the migrants in the camp. While a court in Lille had authorized the demolition of the ‘Jungle’, it told police to spare public facilities, such as mosques, restaurants and schools that have sprung up on the site. The asylum seekers, who are mainly from Middle East, Africa and Afghanistan have traveled to France in the hope of crossing the English Channel to the UK, after having had their applications rejected elsewhere, or in expectation of better prospects in Britain than in the rest of the EU. Cazeneuve, however, doubted the agreement between the two countries would collapse.